The truth is that the internet is generally harmless. It's the users that can cause it to be “unsafe”. The majority of the people who use public WiFi networks do so for their own personal needs. They aren't trying to scam or harm anyone and they normally try and keep to themselves. There are others, however, who try to retrieve your financial information, learn about your family situation, delve into personal matters and, in some cases, other types of illegal activity. 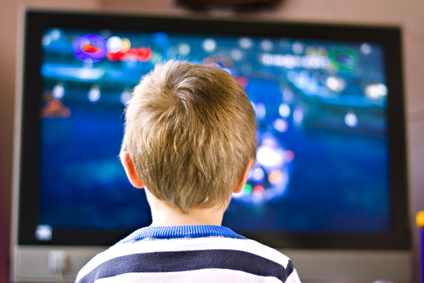 Most electronic devices, especially laptops and tablets, come with a parental control system. Utilize it to its fullest extent, including setting time limits and monitoring what types of websites are visited using the device. Teach your teens to watch for HTTPS addresses when it comes to websites, email, etc. HTTPS means that the website was transmitted over a secure network. Unlike HTTP addresses that allow anyone on your network to snag the cookies on your computer and login to personal accounts without a password. Don't trust paid hotspots. Just because you pay to use them it doesn't mean they are secure. It only means the company wants you to share in paying for the monthly internet bill. While some may include a modest level of security, anyone who pays to access the network is able to interact with your device in a variety of ways. Turn off network sharing – Many music sites request that their users share their files. This is not mandatory even if they make it sound like it is. Make sure you deny requests to share your files on every device. This protects your personal, as well as your financial information. Turn off the “automatic connect” setting on all your devices- By turning off the “automatic connect” setting, this disables your device from being picked up by open networks as you go in and out of their specific coverage areas. Install anti-virus programs that monitor incoming data for malware, spyware and other types of fictitious programs. While it may not necessarily protect your children, it will protect your devices. Teach your children well! Most teens understand the importance of maintaining a required level of privacy. Teach them what to watch out for in the way of unsolicited emails and program requests. Let them know what types of information can be shared and what information is to be kept private. Kids today are smarter than ever. In fact, they may realize something is up with their electronic devices long before you do. If they are going to be using public WiFi, letting them know what to watch for and taking some proactive steps on your own can keep them safe from harm.